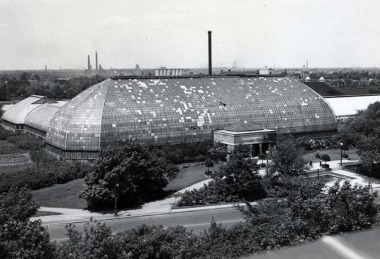 This historical photograph of the exterior of the Garfield Park Conservatory, which graces the footer of this website, was taken in 1908. It is used with permission from the Chicago History Museum. This photograph may not be used without the permission of the Chicago History Museum. The photographer is unknown, and the Chicago History Museum identifier for this photograph is ICHi-17002. All other historical photographs included on this website are property of the Chicago Park District.